Posted update on the eve of Upgrade day. In our previous analysis we used TA + FA to plan for a long-term target of $10,000. That got us "READY" for Bitcoin Cash in 2018. However, I did mention that it will NOT be a straight line. So predictably we had (still having?) a healthy correction and this "SET" the stage for the next major leg-up. 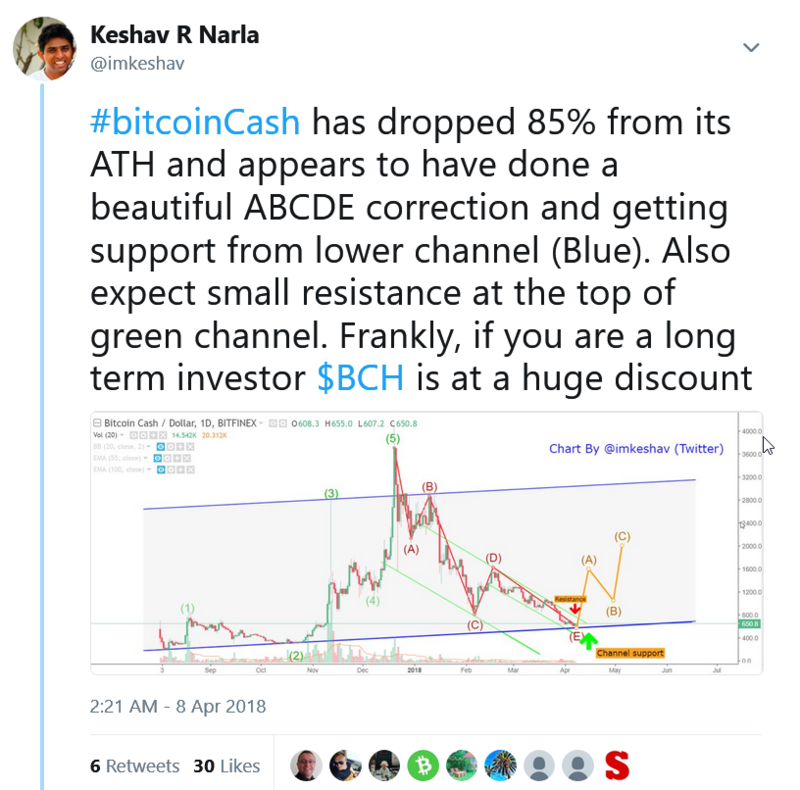 I will try to show you in this article that we are ready to "GO"
I listed out the amazing things that make BCH a very strong investment in my previous article (free section). Please go through it if you haven't already. Bitcoin Cash is only 3 Billion short of overtaking Ripple to take the #3 spot of highest MarketCap. The upgrade on the 15th is going to change the entire crypto market. BCH will be on par with PayPal transaction capacity. WOW! So I drew the green arrow from the bottom to the rim and then moved it to the handle and you can see that target is coming to $2500. Nice! Disclaimer: Please do your due diligence before investing in cryptos. Trading is much more complicated than investing and my observations are more tailored for the latter with a mid to long term view. In the market you are right until you are wrong. Have a good strategy in place and protect your CAPITAL always.